This article and video originally appeared on KHON2. Read and watch the original there. HONOLULU (KHON2) – Supporters are trying to draw attention to the continued need for funding of the Kupuna Caregivers Program. It provides assistance of up to $70 a day in services. 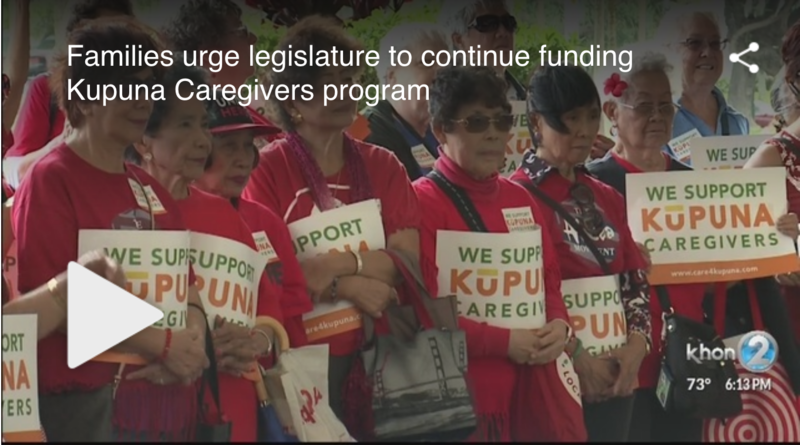 More than 154,000 family caregivers in Hawaii provide unpaid care to a parent, spouse or loved one in need. This financial support will go a long way. There’s currently a senate bill in place that would provide $3.4 million to the program. It still needs to be heard by the house health committee.